We are part of the BPG group, a large Organisation of Independent accounting, auditing and tax firms with 10 locations in Germany, and subsidiaries in Poland and Latvia. With more than 200 employees - chartered and public accountants, auditors, tax consultants, legal advisors, business management and IT consultants - BPG counts medium-sized enterprises from various sectors of the German industry, public sector institutions as well as non-profit organisations and private individuals among its clients. 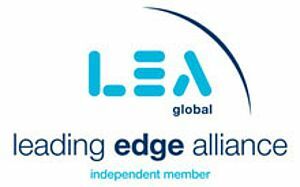 As a German member of the Leading Edge Alliance (LEA), we are part of a strong, closely linked international network of tax, auditing, bookkeeping, accounting and finance experts from around the world. LEA was established in 1999 and is the world´s second largest international association of this kind; more than 200 top class companies have joined the alliance. LEA members are represented in over 100 countries with more than 600 offices. Therefore we have excellent contacts in all of the important industrialised nations, supplying our clients with outstanding services at an international level.